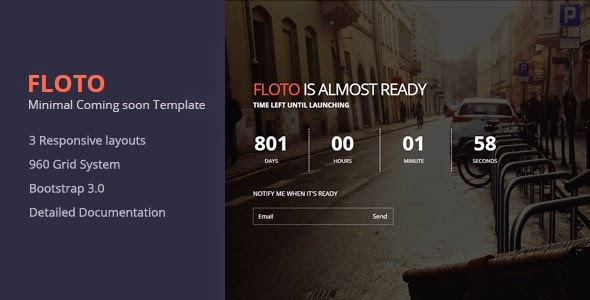 “Floto” is a great Responsive Minimal Coming Soon template coming with countdown and subscription form. It has clean animation and different backgrounds which are change by random. “Floto” is compatible with MacBook Pro’s Retina Display and it’s displayed perfect in all major browsers! Item Reviewed: Floto- Responsive Under Construction Template 9 out of 10 based on 10 ratings. 9 user reviews.